Dr. Byrne performed arthroscopic surgery on my shoulder years ago and I credit his work as being the reason I wasable to make it through Air Force Basic Military Training this last summer at the young age of 31! Dr. Byrne performed arthroscopic surgery on my shoulder years ago and I credit his work as being the reason I was able to make it through Air Force Basic Military Trainingthis last summer at the young age of 31! He took no more than 30 seconds to look at my xray. Office visit lasted 2 minutes. The medical staff includingthe doctor are not friendly nor do they care about you as a patient. I'll never return. He took no more than 30 seconds to look at my xray. Office visit lasted 2 minutes. The medical staff including the doctor are not friendly nor do they care aboutyou as a patient. I'll never return. John Byrne is a focused and compassionate orthopedic surgeon serving his patients in Lorton, Woodbridge, and Alexandria in Virginia, and in Waldorf and Clinton in Maryland. Dr. Byrne is certified by the American Board of Orthopaedic Surgery and is currently a member of the American Medical Association, the Virginia State Medical Society, Prince George’s County Medical Society, and the Academy of Orthopedic Surgery. Dr. Byrne is currently practicing at MedStar Orthopaedic Institute alongside his talented cohort of doctors. 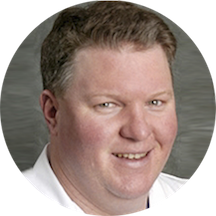 Dr. Byrne performs orthopedic consultations and orthopedic follow-ups, and he welcomes patients to his practice who are experiencing sports injuries, ankle problems, herniated disks, and hip problems, among others. Dr. Byrne is affiliated with MedStar Southern Maryland Hospital Center, Sentara Northern Virginia Medical Center, Civista Ambulatory Surgery Center, Fairfax Hospital, Georgetown University Hospital, Inova Surgery Center, and Southern Maryland Hospital. Dr. Byrne earned his medical degree from Georgetown University Medical School. He then completed his residency at Georgetown University Hospital. I went tot see Dr. Byrne with foot and knee pain. A previous doctor had suggested surgery. Dr. Byrne sent me to physical therapy and after 2 months I am able to walk pain free without surgery. I feel like heput my needs first and really thought about what’s best for me. Terrible, Doctor did not appraise why he is giving injection , which injection is he administering and what could be the after effects of the injection, he was in extreme hurry casual attitude. Will never visit him again. Visit here was well worth it! The quality of service I received from Dr. Byrne, as well as the caring, and friendly nature of all staff I interacted with was excellent - start to finish!! Definitely will be returning here for future needs and highly recommend. Dr. Byrne is excellent and worth the wait time. It is a popular practice and, since he tries to answer all your questions and gives high quality care, he cannot always see you quickly. But I find Dr. Byrne's expertise well worth a few extra minutes of my time. Dr. Byrne performed my bi-lateral knee replacement about four years ago. The procedure went very well and I have had no problem with the knees so far. Not only did the procedure get rid of my knee problems, it also curedthe sciatica that had developed, probably because of the knees. I see him once a year for x-rays and consultation and have always found him very sincere and extremely helpful. I have consulted him on a rotator cuff problem and I am now seeing him for a foot problem and anticipate the same excellent results. He really "knows his stuff". Very professional. Polite staff! Wait time is sometimes long but there are songs posted to inform patients of the wait times due to emergencies. Very pleasantly impressed. The visit went well, in that the doctor gave a good diagnosis as well as a way to help my daughter with her pain. We have a follow up, and I am hoping for better results. Visit was good, straight to the point and I had no issues with my hand. Dr. Byrne was very professional, knowledgeable and attentive to all my concerns. Dr Byrne is awesome! Very attentive and intelligent. He is always so nice and caring. We were so upset that this has happened to our daughter but he was assuring. He helped calm our nerves. It was awful to watch ourdaughter in pain, crying, or scared but he knows what he is doing! He also made my daughter comfortable by making jokes. It worked! Thank you, Dr Byrne! You're amazing! I've gone to Dr. Byrns for over six years . He has replaced my right knee and all went well . I am now seeing him for some problems with my arthritis in my left leg . I would stronglyrecommend him to other people He and his staff are very professional and friendly . I felt very confident that he could take care of my problem. The earlier your appointment the better. If your appointment is late in the day, you will be sitting for quite a while...more than 30 min. He has performed bi-lateral knee replacements and a hip replacement for me. All of had excellent outcomes. He is my orthopedic hero! Dr. Byrne is the best......he will answer all your questions no matter how silly you think they are...Have known him since 2000 and would always go to him!!! Every time I go to see Dr. Byrne I get more and more impressed. He is such a great doctor who truly CARES for his patients and treats you as if you are his only patient!!!!! I liked Dr. Byrne very much, but when I got there they said I should have made an appointment with Dr. Jander the hand specialist. They asked me if I told the receptionist that I needed to see a hand Dr.and I said yes. They booked me with Dr. Byrne anyway. Now I have to come back to see Dr. Jander. Dr.Byrne request that I get an MRI of my hand and then see Dr. Jander. Please be clear when making your appointment. He explained things very well. I felt very comfortable asking him questions. I am confident that my health is in good hands. I've always thought highly of Dr John Byrne. He's an excellent doctor. I would highly recommend him. Dr. Byrne is a wonderful doctor. He listens, gives great advice and has a wonderful bed side manner. I have been going to Dr. Byrne for years, and would not give him up for anything in the world. There were several positive things to note about the visit. I liked they way every new patient was provided an iPad to enter the numerous pages of new employee information. It was easier and just seemed more efficient. I also liked,although I did think it leaned on the bit of too self service, that after I filled out my paperwork on the iPad that I ran my credit card to pay for my visit. I thought that was cool, but also, removes a little of the human interaction. I spoke with the intake nurse (she was awesome) and had two different x-ray techs (loved them both). Dr. Byrne seems to be a man of few words BUT I felt completely taken care of and also understood his explanation of my injury and treatment plan. I didn't feel rushed by him and I was able to ask questions. I also am happy to report that after 24 hours of my visit I am 100% pain free from a knee injury that has ailed me for 7 months. I think the doctor is great & so is the staff, but the wait time is horrible! I have seen the doctor twice and both visits I waited over an hour to see him! I arrived at 3:45 PM for a 4:00 PM appointment and was told the doctor was running 1 1/2 hour behind schedule. The waiting room was packed and patients were standing outside in the hall. Certainly a voicemail or text wouldhave alerted me to this and asked me if I wanted to reschedule. I changed other appointments so I could make this one. I respect the doctor and the staff at Medstar and I would hope they would correspondingly respect me. No complaints. He is very professional and organized. I would never have anyone else but Dr. Byrne to help me with these kinds of problems I'm having. He's wonderful. Love Dr Byrne...very professional...answers questions.. Doesnt rush!!!! I love Dr. Byrne he is wonderful and very very helpful wouldn't go to anyone else for all my old age problems. I needed more time with the doctor to discuss all aspects of what, essentially, is emergency knee surgery. For instance, I did not have time to discuss risks, alternatives, if any, and post-surgery issues. I need to know how to planfor the next few weeks re work and personal responsibilities, but I have no idea how to plan for pet care, mail pick-up, and work availability. Doctor provided medical diagnosis, but necessary information about planning for pre-surgery and post-surgery were not provided. It was good to be seen by Dr Byrne after several years!!! The front desk staff was not very personable. But the the nurse and Luke the PA was very nice, professional and knowledgeable. I was expecting to see Dr. Byrne but I guess he had other patients. At the end of myappointment I felt that I received very good service and medical treatment. The front desk could be a little more friendlier. I have seen Dr. Byrne since 2011 and he has been very helpful to me. His bedside manner is excellent and he has always been very pleasant to speak with. Dr. Byrne is attentive to patients concerns, and willing to take the time to answer questions, explain options, etc. He works in a group of highly skilled surgeons, and he can consult with them on difficult situations, or call on themfor specialties. The group can provide seamless service whenever necessary. Dr. Byrne's association with a University teaching hospital gives him access and knowledge about the latest techniques. I would highly recommend him or any of his partners. I love Dr Bryne. The care is great. However the waiting room is a disaster. It is far too small to accommodate patients with crutches walkers wheelchairs etc. everyone is shoved together. The bathroom is pretty nasty. No hand dryer no paper towels. Dr Byrne was very nice and his staff was extremely friendly and cordial. I was seen right away and barely had to wait in the exam room. Very efficient operation, with delightful employees. Dr. Byrne did a great job listening and explaining things. I never once felt rushed. I liked the nurse staff and I liked the Dr. Dr Byrne understands what he's doing and he provides a comfortable atmosphere. His knowledge is thorough. The wait time is a little long. As always, very thorough and friendly. Great bedside manners! Pleasant! Good, professional, but didn't really resolve my issue. Very professional, straight to the point. Nice guy. Dr. Bryne is very knowledgeable, thorough, kind, compassionate, and professional. I have been his patient for more than 20 years. This says it all!! Dr Byrne was very interested in what was going on with all my issues not just the pressing injury. Explained what it was along with course of action. I don't mind the wait as long as I'm given the same courtesy and treatment by the doctor.... Treating me and answering the questions I have about my condition. My appointment was 10Am and I was seen at 11:10 on July 21, 2015.